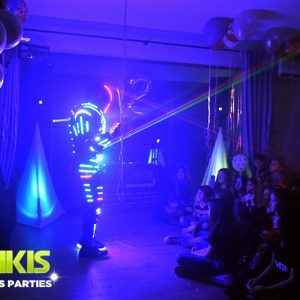 The Next Big Thing in kids parties. 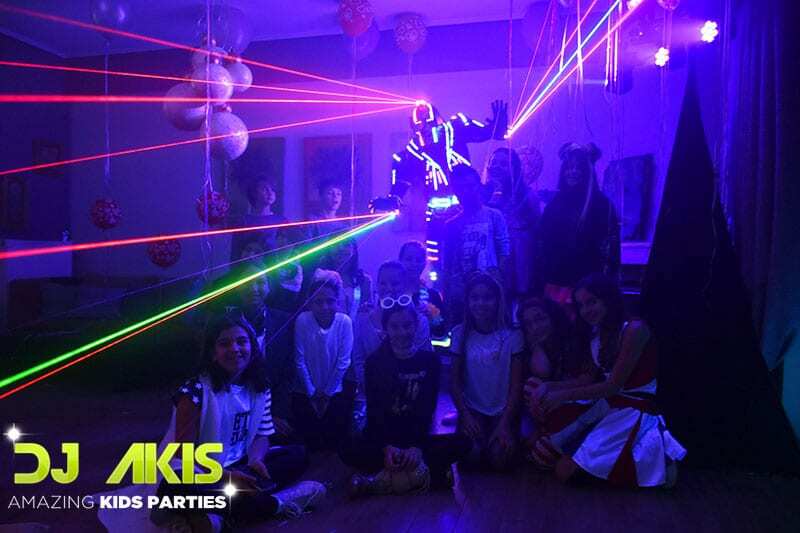 LASER Party! 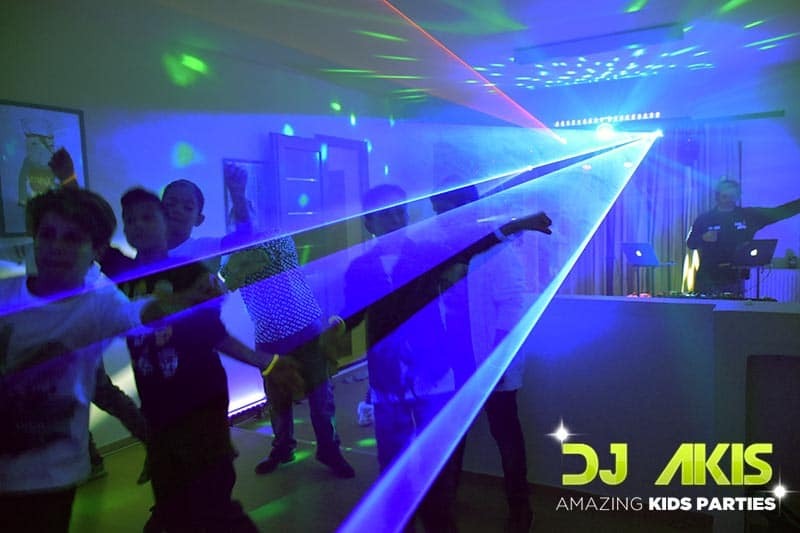 No more the same old boring kids parties… Now at last, we can offer you, THE party everyone is talking about: The LASER Party!!! 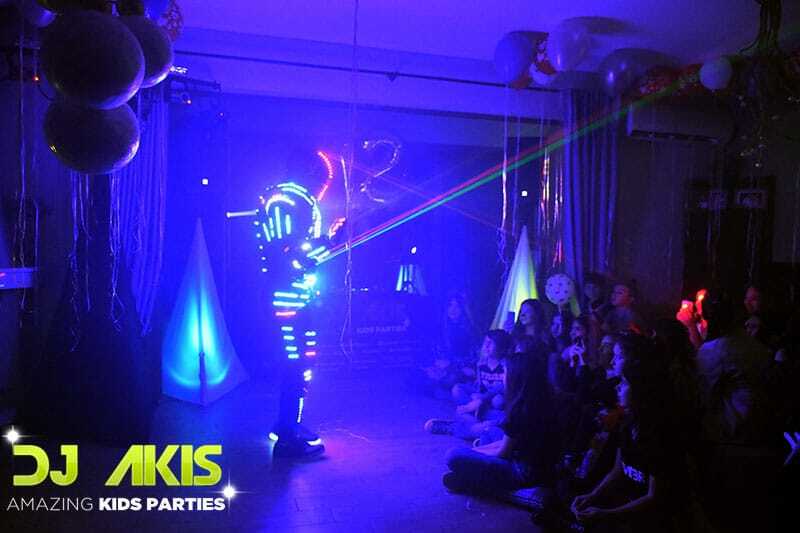 A LASER Party is the most spectacular form of entertainment for a children’s party. 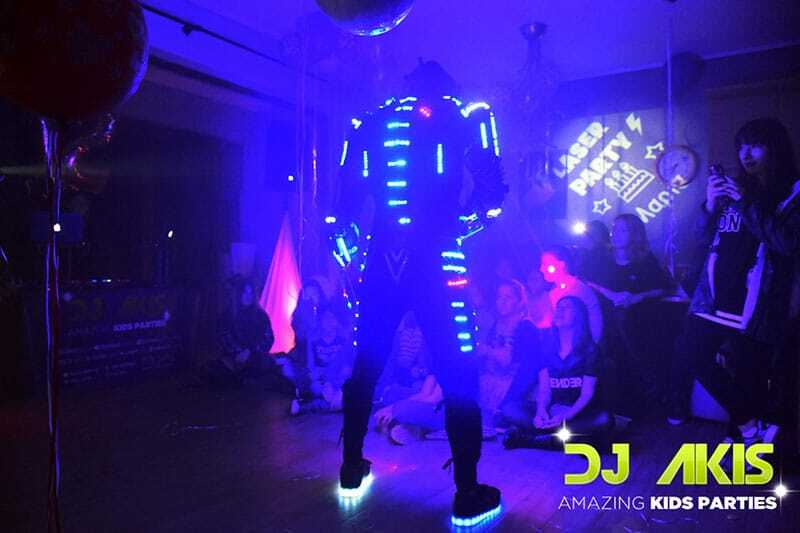 We ‘ve combined High end technology with good music and amazing dancing moves, to produce an unforgettable party! 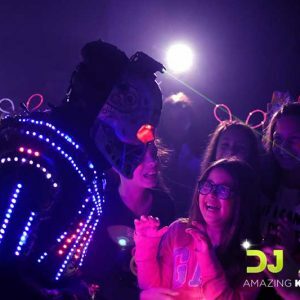 The well-known DJ AKIS, who is responsible to create a spectacular, multicolored atmosphere, thanks to his laser equipment combined with children’s favorite music. 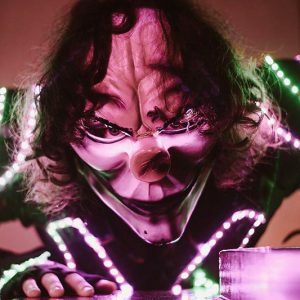 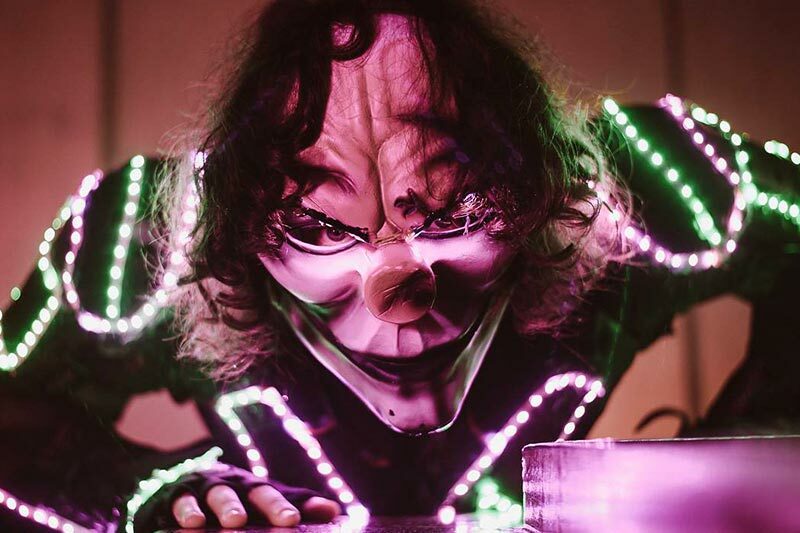 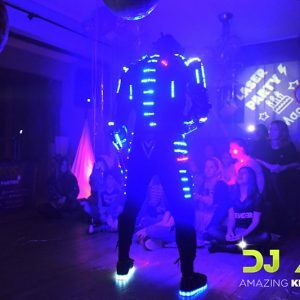 JAYΒΟΤ, a specialty performer who wears specially-designed High-tech costumes, he offers a Laser dance show that nobody has seen before. 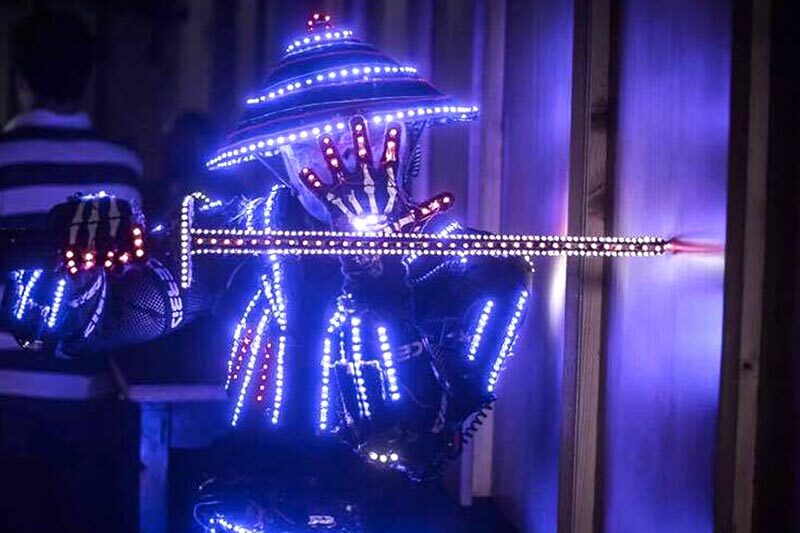 Probably you ‘ve seen him in the latest “Greece Got Talent“. 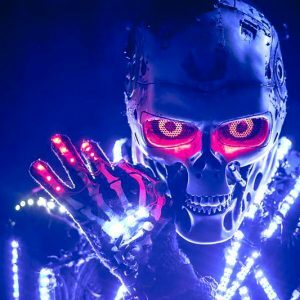 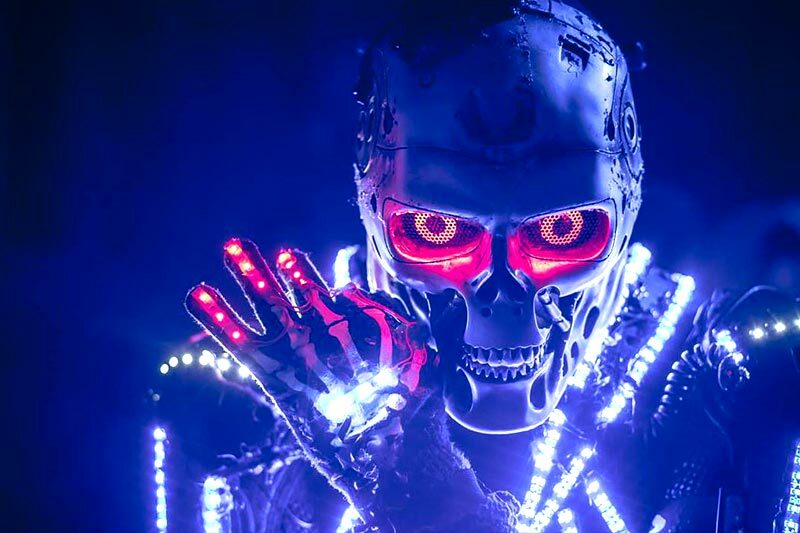 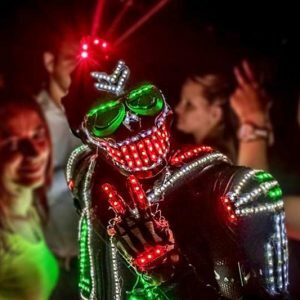 JAYBOT has created amazing LED costumes with attached lasers, specially programmed to suit with the music and his dance moves. 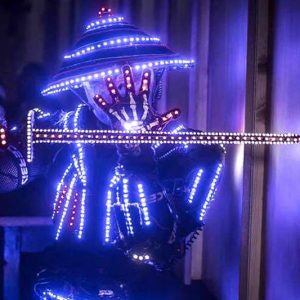 JAYBOT’s show is about 30 minutes. 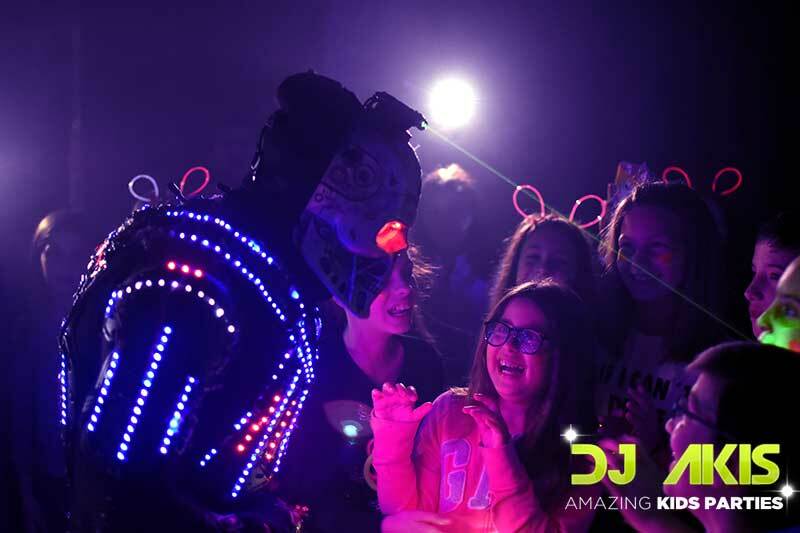 During this time and after his act, children can take photos with him. 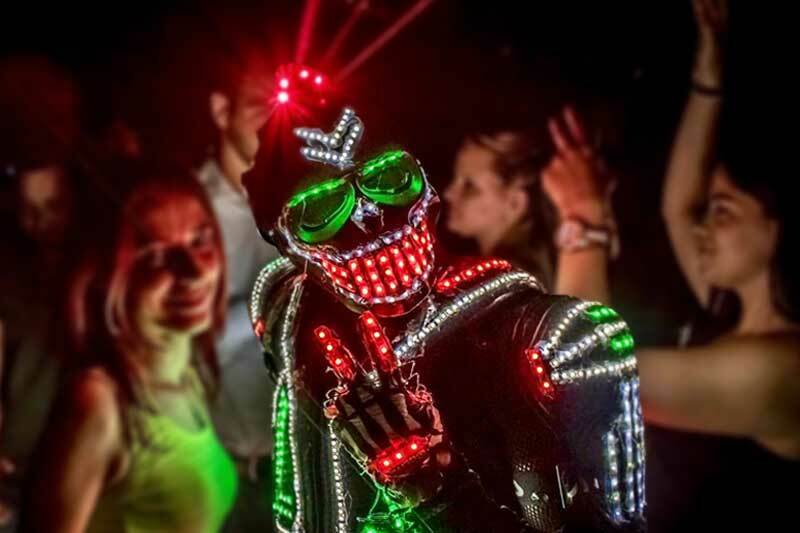 Turn off the lights and we will create and amazing atmosphere. 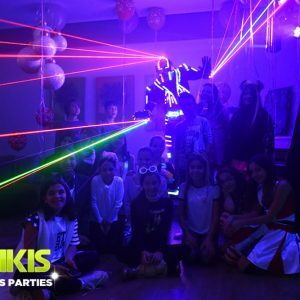 HOW MUCH DOES A LASER PARTY COST?